Hala Alyan is a Palestinian American writer and clinical psychologist. She is the author of Atrium (Three Rooms Press, 2012), winner of the 2013 Arab American Book Award in Poetry; Four Cities (Black Lawrence Press, 2015); Hijra (Southern Illinois University Press, 2016), winner of the 2015 Crab Orchard Series in Poetry; and The Twenty-Ninth Year, forthcoming from Mariner Books in 2019. Her debut novel, Salt Houses, was published to rave reviews by Houghton Mifflin Harcourt in 2017 and won the 2018 Arab American Book Award in Fiction and the 2018 Dayton Literary Peace Prize. Alyan has been awarded a number of fellowships, including Lannan and Yaddo residencies, and has led workshops at the Metropolitan Detention Center in Brooklyn, the LaGuardia Performing Arts Center and the Lemon Tree House Residency in Italy. She lives in Brooklyn. Born in Croatia, Ana Božičević is a poet, translator, teacher and occasional singer. She is the author of Joy of Missing Out (Birds, LLC, 2017), the Lambda Award–winning Rise in the Fall (Birds, LLC, 2013) and Stars of the Night Commute (Tarpaulin Sky Press, 2009). She is the recipient of a 40 Under 40: The Future of Feminism award from Feminist Press and a PEN American Center/NYSCA grant for translating It Was Easy to Set the Snow on Fire by Zvonko Karanović. Božičević received her MFA in poetry from Hunter College. At the PhD program in English at the CUNY Graduate Center, she studied New American poetics and alternative art schools and communities, and edited lectures by Diane di Prima for Lost & Found: The CUNY Poetics Document Initiative. Božičević has taught poetry at BHQFU, Bowery Poetry Club, Harvard, Naropa and the University of Arizona Poetry Center. Melissa Broder is the author of three collections of poems, Scarecrone (Publishing Genius, 2014), Meat Heart (Publishing Genius, 2012) and When You Say One Thing But Mean Your Mother (Ampersand Books, 2010). By day she works as a publicity manager at Penguin. She holds a BA in English from Tufts University and an MFA in creative writing from the City College of New York, which awarded her the Stark Prize for Poetry and the Jerome Lowell Dejur award. A past editor of La Petite Zine and the curator of the Polestar Poetry Series at Cakeshop, Broder blogs at HTMLGIANT and maintains a rad Twitter @melissabroder. J. Scott Brownlee’s first full-length book, Requiem for Used Ignition Cap, was selected by C. Dale Young as the winner of the 2015 Orison Poetry Prize. He is also the author of two chapbooks: Highway or Belief, which won the 2013 Button Poetry Prize, and Ascension, which won the 2014 Robert Phillips Poetry Chapbook Prize. A former Writers in the Public Schools Fellow at New York University, Brownlee is a founding member of the Localists, a literary collective that emphasizes place-based writing of personal witness, cultural memory and the aesthetically marginalized working class, both in the United States and abroad. After living in Brooklyn for several years, he currently works for the Wharton School at the University of Pennsylvania, where he is an admissions counselor for the Executive MBA Program. Nicole Callihan’s debut book of poems, SuperLoop, was published by Sock Monkey Press in 2014. Her chapbook A Study in Spring, co-written with Zoe Ryder White, won the 2015 Baltic Writer’s Residency Chapbook contest, and another chapbook, The Deeply Flawed Human, was published by Deadly Chaps Press in 2016. A finalist for the Iowa Review’s Award for Literary Nonfiction, she was named Notable Reading for Best American Nonrequired Reading and awarded Best of the Net 2010 for fiction. She has received fellowships from the Rockefeller Foundation and the Ludwig Vogelstein Foundation and also co-authored the nonfiction book Henry River Mill Village. A Senior Language Lecturer at New York University, she lives in Downtown Brooklyn. Gregory Crosby is the author of Walking Away From Explosions in Slow Motion (The Operating System, 2018), as well as the chapbooks Spooky Action at a Distance (The Operating System, 2014) and The Book of Thirteen (Yes Poetry Press, 2016). For more than a decade he worked as an art critic, columnist and cultural commentator in Las Vegas, where he served as a poetry consultant for the Cultural Affairs Division and was instrumental in the creation of the Poets Bridge public art project. He was awarded a Nevada Arts Council Fellowship in Literary Arts and holds an MFA in creative writing from the City College of New York, where he won the 2006 Marie Ponsot Poetry Prize. He is an adjunct associate professor at the John Jay College of Criminal Justice and teaches creative writing at Lehman College–CUNY. Cynthia Cruz is the author of five collections of poems: Ruin (Alice James Books, 2006), The Glimmering Room (Four Way Books, 2012), Wunderkammer (Four Way Books, 2014), How the End Begins (Four Way Books, 2016) and, most recently, Dregs (Four Way Books, 2018). She is the editor of an anthology of contemporary Latina poetry, Other Musics: New Latina Poetry, as well as Disquieting: Essays on Silence, a collection of essays about silence as a form of resistance, both forthcoming in 2019. She has taught at many colleges and universities, including the New School, Julliard, Queens College and the Rutgers-Newark MFA Program, as well as with Teachers & Writers Collaborative. She is the recipient of fellowships from Yaddo and the MacDowell Colony and a Hodder Fellowship at Princeton University. She currently teaches at Sarah Lawrence College. Laura Eve Engel is the author of Things That Go (Octopus Books, 2019). A recipient of fellowships from the Provincetown Fine Arts Work Center, the Wisconsin Institute for Creative Writing and the Helene Wurlitzer Foundation, her work can be found in the Nation, Best American Poetry, Boston Review, PEN America, Tin House and elsewhere. She has taught courses in creative writing, literature and composition at the University of Houston, the University of Wisconsin-Madison and Fordham University, among other places, and for ten years she worked with high-school-age writers and new teachers at the University of Virginia’s Young Writers Workshop, where she served as residential program director from 2012 to 2017. A musician in the off-hours, she’s one half of a band called The Old Year. Sarah Gerard is the author of the novel Binary Star, which NPR calls “a hard, harrowing look into inner space,” the essay collection Sunshine State, as well as two chapbooks, BFF and Things I Told My Mother. Her short fiction, essays, interviews and criticism have appeared in the New York Times, New York Magazine‘s “The Cut,” Joyland, the Paris Review Daily, BOMB Magazine and elsewhere. She holds an MFA in fiction from The New School, teaches writing in New York and writes a monthly column on artists’ notebooks for Hazlitt. She lives in Ditmas Park. Jessica Greenbaum’s first book, Inventing Difficulty, was awarded the Gerald Cable Prize and praised by George Steiner as a “first book by a poet very much to be listened to.” Her second book, The Two Yvonnes, was chosen by Paul Muldoon for the Princeton Series of Contemporary Poets and recognized by Library Journal as one of the Best Books of Poetry in 2012. She is the recipient of the 2016 Alice Fay di Castagnola Award from the Poetry Society of America and a 2015 fellowship from the NEA. She teaches in the World Trade Center’s Health Program for 9/11 first responders and at Barnard College. She is the former poetry editor of upstreet and lives in Fort Greene. Rachel Eliza Griffiths is a poet and visual artist. She is the author of Lighting the Shadow (Four Way Books, 2015), Miracle Arrhythmia (Willow Books, 2010), The Requited Distance (Sheep Meadow Press, 2011) and Mule & Pear (New Issues, 2011), which was awarded the 2012 Inaugural Poetry Award by the Black Caucus of the American Librarian Association. The recipient of fellowships from the Cave Canem Foundation, Provincetown Fine Arts Work Center, Millay Colony and Vermont Studio Center, her visual and literary work has appeared in American Poetry Review, Poets & Writers, Mosaic, Folio, American Poet and elsewhere. Currently, she teaches creative writing at Sarah Lawrence College and lives in Carroll Gardens. Julie Hart, named Brooklyn Poets’ Yawper of the Year in 2015, has had her work published in various journals, most recently in Juniper, Rogue Agent and Noble/Gas Qtrly, and in the Brooklyn Poets Anthology. She holds an MPhil in history from NYU and taught English as a second language for fifteen years. In 2014, she cofounded Sweet Action Poetry Collective with Mirielle Clifford, and with the help of Emily Blair it has become a vibrant community of poets, featuring bimonthly workshops, annual readings and publications to promote the group’s work. She lives in Brooklyn Heights with her husband and son. Marwa Helal is a poet and journalist. She is the author of Invasive species (Nightboat Books, 2019) and I Am Made to Leave I Am Made to Return (No, Dear/Small Anchor Press, 2017). Her work has appeared in Apogee, Hyperallergic and Poets & Writers, among other journals, and in the anthologies Bettering American Poetry 2016 and Best American Experimental Writing 2018. She is the winner of BOMB Magazine’s Biennial 2016 Poetry Contest and has been awarded fellowships from Poets House, Brooklyn Poets and Cave Canem. Helal received her MFA in creative nonfiction from the New School and her BA in journalism and international studies from Ohio Wesleyan University. Born in Al Mansurah, Egypt, she currently lives and teaches in Brooklyn. 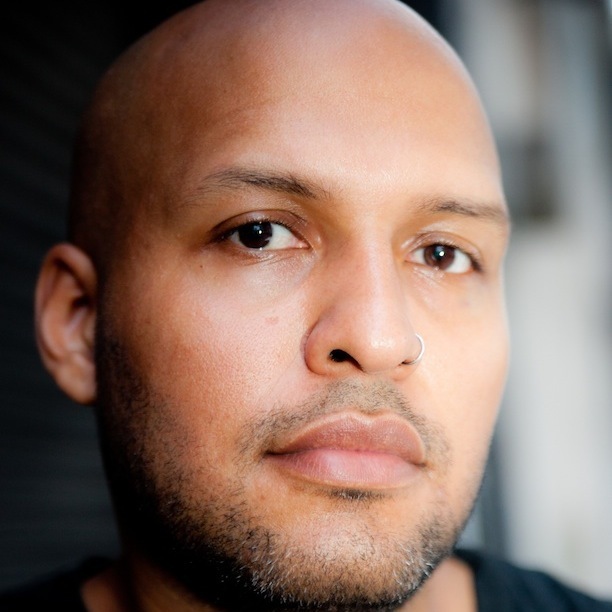 JP Howard is the author of SAY/MIRROR (The Operating System, 2016), a 2016 Lambda Literary finalist, and the chaplet bury your love poems here (Belladonna*, 2015). She has received a Lambda Emerging Writer Award and was a finalist for the 2017 Split This Rock Freedom Plow Award for Poetry & Activism, and she is a 2018 featured author in Lambda Literary’s LGBTQ Writers in Schools program. The winner of fellowships from Cave Canem, VONA and Lambda, she curates the Women Writers in Bloom Poetry Salon and has facilitated numerous writing workshops for Apogee, the Brooklyn Community Pride Center, City College and others. Howards holds a BA in English from Barnard College, a JD from Brooklyn Law School and an MFA in creative writing from City College. Modesto “Flako” Jimenez is a Dominican-born actor, writer and arts educator raised in Brooklyn. He is the author of the poetry collection Oye, Para Mi Querido Brooklyn (Listen, For My Dear Brooklyn) and has performed on stage with the Wooster Group and Repertorio Español in New York. He starred in the lead role in Alexandra Collier’s Take Me Home, an immersive theater piece set inside a cab (which he drove), garnering rave reviews from the New York Times, the New Yorker and Time Out New York. Board Vice President of Brooklyn Poets, Jimenez is also the founder and executive director of Oye Group, an eclectic artist collective presenting annual showcases of new work in theater, dance, poetry and film that spark dialogues on critical issues of immigration, economics and urban survival. Vanessa Jimenez Gabb is the author of Images for Radical Politics, which was the Editor’s Choice in the 2015 Rescue Press Black Box Poetry Contest, and the chapbooks midnight blue and Weekend Poems. Her work has appeared or is forthcoming in such places as the Brooklyn Rail, the Poetry Project Newsletter, jubilat, Sixth Finch, VIDA and the Brooklyn Poets Anthology, and in 2012 she cofounded the literary project Five Quarterly. She holds an MFA in poetry from Brooklyn College–CUNY, where she was the recipient of the 2010 Himan Brown Award, and she has taught English and creative writing at St. John’s University and Newark Academy, where she is currently on faculty. She is from and lives in Brooklyn. Patricia Spears Jones is the author of four full-length poetry collections, most recently A Lucent Fire: New and Selected Poems (White Pine Press, 2015) and four chapbooks, as well as two plays commissioned and produced by Mabou Mines, the acclaimed experimental theater company. She is the winner of the 2017 Jackson Poetry Prize from Poets & Writers, awards from the Foundation for Contemporary Arts, the NY Community Trust and the Goethe Institute, as well as grants from the NEA and NYFA. She has taught poetry workshops for Cave Canem, the Poetry Project and Poets House and is currently a lecturer at LaGuardia Community College. Debora Kuan is the author of XING (Saturnalia Books, 2011) and Lunch Portraits (Brooklyn Arts Press, 2016). She has been awarded residencies at Yaddo, Macdowell and the Santa Fe Art Institute and is the recipient of a Fulbright creative writing fellowship and a Bread Loaf Writers’ Conference scholarship, among other awards. She has written about contemporary art, books and film for Artforum, Art in America, Modern Painters and other publications. She was both a nonfiction and fiction fellow at the CUNY Writers’ Institute from 2010–2012 and has taught at the University of Iowa, the College of New Jersey and New York Institute of Technology. She lives in Brooklyn with her husband and daughter. Dorothea Lasky is the author of Milk (Wave, 2018), Rome (Norton/Liveright, 2014), Thunderbird (Wave, 2012), Black Life (Wave, 2010) and Awe (Wave, 2007). She is also the author of several chapbooks, including Poetry Is Not a Project (Ugly Duckling Presse, 2010), and coeditor of Open the Door: How to Excite Young People About Poetry (McSweeney’s, 2013). She holds an MFA in poetry from the University of Massachusetts-Amherst, an EdM in Arts in Education from Harvard and an EdD in Creativity and Education from the University of Pennsylvania. She is an assistant professor of poetry at Columbia University’s School of the Arts, codirects Columbia Artist/Teachers and lives in Bed-Stuy. Monica McClure’s debut collection, Tender Data, was published by Birds, LLC in 2015. She is also the author of the chapbooks Mood Swing (Snacks Press, 2013) and Mala (Poor Claudia, 2014). She studied fiction, poetry, art history and literary theory at DePauw University and earned her MFA in poetry from New York University. With Brenda Shaughnessy, she is currently editing the anthology Both and Neither: Biracial American Writers. John Murillo is the author of the poetry collection Up Jump the Boogie, a finalist for both the Kate Tufts Discovery Award and the Pen Open Book Award. His honors include the J. Howard and Barbara M.J. Wood Prize from the Poetry Foundation, a Pushcart Prize, and fellowships from the National Endowment for the Arts, the New York Times, Bread Loaf Writers Conference, Fine Arts Work Center in Provincetown, Cave Canem Foundation, and the Wisconsin Institute for Creative Writing. Recent poems have been published in Best American Poetry 2017, jubilat, Poetry, Prairie Schooner, Ploughshares and in the anthology Angles of Ascent: A Norton Anthology of African-American Poetry. He teaches at Wesleyan University and in the low residency MFA program at Sierra Nevada College. His second full-length collection, Kontemporary Amerikan Poetry, is forthcoming from Four Way Books. Joe Pan is the author of two collections of poetry, Hiccups (Augury Books, 2015) and Autobiomythography & Gallery (BAP, 2011). He is the editor-in-chief and publisher of Brooklyn Arts Press, serves as the fiction editor for the arts magazine Hyperallergic and is the founder of the services-oriented activist group Brooklyn Artists Helping. His piece “Ode to the MQ-9 Reaper,” a hybrid work on drones, was excerpted and praised in the New York Times. In 2015 Pan participated in the Lower Manhattan Cultural Council’s Process Space artist residency program on Governors Island. He attended the Iowa Writers’ Workshop, grew up along the Space Coast of Florida and now lives in Williamsburg. V. Penelope Pelizzon is the author of two books of poetry: Whose Flesh Is Flame, Whose Bone Is Time (Waywiser, 2014) and Nostos (Ohio University Press, 2000), winner of the Hollis Summers Prize and the Poetry Society of America’s Norma Farber First Book Award. She is also the author of Human Field, winner of the Center for Book Arts 2012 poetry chapbook award, and co-author of Tabloid, Inc.: Crimes, Newspapers, Narratives (Ohio State University Press, 2010). Her awards include an Amy Lowell Poetry Traveling Scholarship, a Lannan Foundation Writing Residency Fellowship and a “Discovery”/The Nation Award. She is an associate professor of English at the University of Connecticut. Born in St. Thomas, U.S.V.I., and raised in Apopka, Florida, Nicole Sealey is the author of Ordinary Beast, a finalist for the 2018 PEN Open Book Award, and The Animal After Whom Other Animals Are Named, winner of the 2015 Drinking Gourd Chapbook Poetry Prize. Her other honors include a Jerome Foundation Travel and Study Grant, an Elizabeth George Foundation Grant, the Stanley Kunitz Memorial Prize from the American Poetry Review, a Daniel Varoujan Award and the Poetry International Prize, as well as fellowships from CantoMundo, Cave Canem, MacDowell Colony and the Poetry Project. Her work has appeared in or is forthcoming in Best American Poetry 2018, the New Yorker, the New York Times and elsewhere. Nicole holds an MLA in Africana studies from the University of South Florida and an MFA in creative writing from New York University. She is the executive director at Cave Canem. Jeff Simpson is the author of Vertical Hold (Steel Toe Books, 2011), a finalist for the National Poetry Series, and The Morrill Hall Sessions, a free audio chapbook. In 2010, he founded The Fiddleback, an online journal of literature and art. His work has appeared in many journals and magazines, including Prairie Schooner, Poet Lore and Copper Nickel, among others. He holds an MFA in poetry from Oklahoma State University, where he was twice awarded the Academy of American Poets Prize. He has taught creative writing and literature at Oklahoma State University, Old Westbury–SUNY and Queens College–CUNY. He is the multimedia producer for the Academy of American Poets and lives in South Slope. Bianca Stone is a poet and visual artist. She is the author of Someone Else’s Wedding Vows (Tin House/Octopus Books, 2014) and several poetry and poetry comic chapbooks, including Poetry Comics from the Book of Hours (Pleiades Press, 2016), I Saw The Devil With His Needlework (Argos Books, 2012), and I Want To Open The Mouth God Gave You, Beautiful Mutant (Factory Hollow Press, 2012). She is also the illustrator of Antigonick, a collaboration with Anne Carson. She is the editor of Monk Books, a small press that publishes limited-edition chapbooks of poetry and art, and the chair of the Ruth Stone Foundation, an organization honoring the work of her grandmother, poet Ruth Stone. Paige Taggart is the author of two full-length poetry collections, Or Replica (Brooklyn Arts Press, Dec 2014) and Want for Lion (Trembling Pillow Press, March 2014), and five chapbooks, most recently I Am Writing To You from Another Country: Translations of Henri Michaux (Greying Ghost Press). She graduated with a BA in Visual Studies from California College of the Arts and went on to complete an MFA in Creative Writing at the New School. She was a 2009 NYFA fellow and is the founder of Mactaggart Jewelry. R.A. Villanueva’s debut collection of poetry, Reliquaria, won the Prairie Schooner Book Prize (University of Nebraska Press, 2014). New work appears in Poetry, Guernica, American Poetry Review and widely elsewhere. His honors include a commendation from the 2016 Forward Prizes, an inaugural Ninth Letter Literary Award and fellowships from Kundiman, the Saltonstall Foundation for the Arts and the Asian American Literary Review. He holds graduate degrees from Rutgers University and New York University and has taught writing at high schools and universities and for arts organizations in the United States and abroad. A founding editor of Tongue: A Journal of Writing & Art, he lives in Brooklyn. Candace Williams is a black queer nerd living a double life. By day, she’s a sixth-grade humanities educator and robotics coach. By night and subway ride, she’s a poet. Her Spells for Black Wizards was a 2017 TAR Chapbook Series winner and published by the Atlas Review, and futureblack, her first full-length poetry manuscript, was a 2018 National Poetry Series finalist. Her work has appeared in the PEN Poetry Series, Tin House, Hyperallergic and Nepantla: An Anthology for Queer Poets of Color, among other places. She earned her master’s in education from Stanford University and has been awarded fellowships from Cave Canem, Brooklyn Poets and the Fine Arts Work Center in Provincetown. Bill Zavatsky is the author of Where X Marks the Spot, For Steve Royal and Other Poems and Theories of Rain and Other Poems. With Zack Rogow, he co-translated Earthlight: Poems by André Breton, which won the PEN/Book-of-the-Month Club Translation Prize; with Ron Padgett he co-translated The Poems of A.O. Barnabooth by Valery Larbaud. For many years he served as the director of SUN, a literary press, as well as SUN magazine, and taught in the high school at the Trinity School in Manhattan. He has also taught workshops for Teachers & Writers Collaborative, the Poetry Project and Poets House, among other places. He currently teaches a walk-in poetry workshop at the Morningside Heights Library on the Upper West Side. Jenny Zhang is the author of the poetry collection Dear Jenny, We Are All Find (Octopus Books, 2012). Her fiction, nonfiction and poetry have appeared in Fence, Pen American, Jezebel, The Guardian and Vice, among other venues. She’s a regular contributor to Rookie and was a 2012-2013 Workspace writer-in-residence at the Lower Manhattan Cultural Council. She holds degrees from Stanford University and the Iowa Writers’ Workshop, where she was awarded a Teaching-Writing Fellowship and a Provost Fellowship, and has taught fiction, nonfiction and poetry at Iowa, the New School and Sackett Street Writers’ Workshop. She currently teaches high school students in the Bronx and lives in Williamsburg.